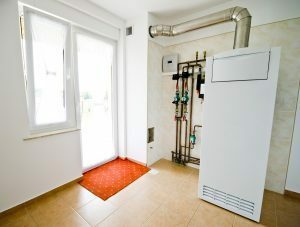 If you have a boiler in your home—a tank that uses hot water to heat the home rather than heated air—it may seem nearly invincible. Our customers love their home boilers, especially new high-efficiency systems. Radiant heating sends warmth throughout the home, rather than warming the air. Since water retains heat better than air, the difference in comfort levels is often astounding. Boilers are long-lasting, durable systems. Unfortunately, that doesn’t make them invincible. Keep your boiler maintained and you may reduce the chances of needing repair, but these 3 repairs can still become necessary at any time. Be on the lookout for any signs of trouble! DO YOU REPAIR YOUR HEATER NOW OR LATER? Heating repairs can be a tricky thing sometimes, and when a problem arises late in the winter, homeowners can be tempted to wait until spring — when the weather is warmer and they can afford to keep their heater turned off for a few days — to get repairs. Not every problem results in a shutdown of the heater, leading some homeowners to think they can sit on it until they no longer have daily need of their heating system. In many instances, however, waiting to schedule heating repair can be a huge mistake. Posted in Heating | Comments Off on DO YOU REPAIR YOUR HEATER NOW OR LATER? DO YOU NEED HEATING REPLACEMENT RIGHT AWAY? Winters in Bergenfield, NJ are far too intense to not have a reliable heater in your home. If your system is on its last legs, you might be eyeing a replacement. Ideally, the operation can wait until the spring, when you won’t need your heater and can plan a replacement session accordingly. 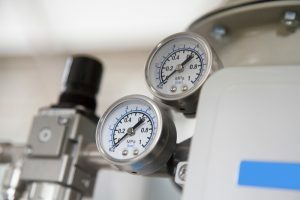 In some cases, that might not be possible, however, and with months to go until the weather warms up, you may need to replace your failing heating system before the spring. But how can you tell when and what steps should you take if you do need a new heater right away? We’ve got a few guidelines to help you make those big decisions. Posted in Heating | Comments Off on DO YOU NEED HEATING REPLACEMENT RIGHT AWAY? Summer doesn’t officially come to an end for a few more weeks, and we’re apt to have some warm weather yet here in Dumont, NJ. But Labor Day marks an ideal spot on the calendar to start preparing your heating system for the fall season. We have a lot of different types of heaters in our community, but all of them are charged with the same job: keeping your home warm and comfortable in the throes of winter. Proper preparation, consisting of a healthy mix of professional attention and individual steps, can ensure that your heating system does its job exactly when it’s supposed to. HOW CAN I TURN IMPROVED EFFICIENCY INTO IMPROVED SAVINGS? Posted in Heating | Comments Off on HOW CAN I TURN IMPROVED EFFICIENCY INTO IMPROVED SAVINGS? Your heater is intended to provide warm comfort throughout the winter, but we’re just getting started with the cold months here in Bergen County, NJ, and an older heater might not have enough to get you through the winter intact. If yours is more than a decade old, you may want to consider getting a replacement now, before we get much further into the colder months. Trained technicians can come to your home and perform the proper installation, but before they can do that, you need to make the determination that your heater really is on its last legs. A few key signs can show you the way. Radiant floor heating represents an innovative departure from traditional boilers and forced air furnaces. Instead of heating the air in your home and using that to indirectly provide you with comfort, radiant heating relies on a series of tubes and coils installed beneath the floorboards of your home to provide direct heat. It warms your feet and furniture directly, eliminating problems like drafts and cold spots while still creating a cozy, comfortable environment to your home. Among the system’s advantages are a lack of repair issues, since it has few moving parts and most of the system is corrected. The bad news is that repair problems can still crop up from time to time. The good news is that you have a service in Bergen County, NJ that can help. Here’s a brief breakdown of some common repair issues with radiant floor heating that you should watch out for.